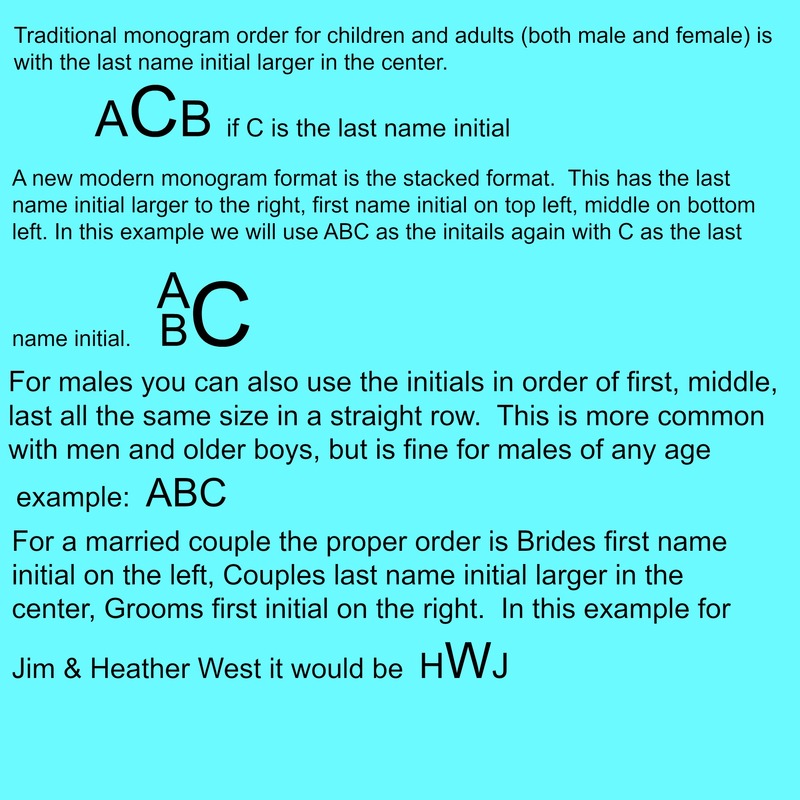 Not sure what order your initials are supposed to be for a monogram? You are not alone, we get asked all the time!! There are so many choices and many are personal preference. 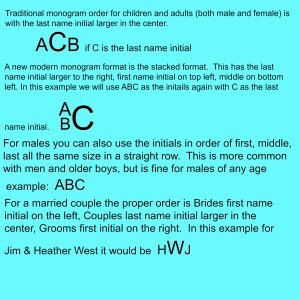 We set up this chart to show you some traditional and modern monogram formats to help guide you.